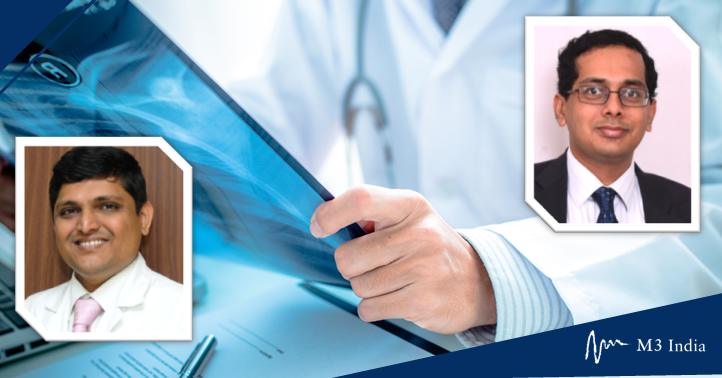 Noted Medical Oncologists, Dr. Vishwanath Sathyanarayanan and Dr. Vinayak Maka pick 3 India-relevant studies in lung cancer, presented at this year's ESMO (European Society of Medical Oncology) Asia 2018 and provide their key takeaway messages. The ESMO Asia 2018 Congress recently took place in Singapore between 23 to 25 November 2018. It comprised of both scientific and educational tracks presented by subject experts from Europe and Asia which are relevant to current oncology practice. Here we are critically reviewing scientific data presented as oral and poster presentation sessions which may be clinically applicable to oncologists treating lung cancer in India. Dr. Vishwanath: Though the FLAURA trial demonstrated a significant PFS for Osimertinib in the first line setting of patients with EGFR mutation-positive metastatic NSCLC, in the Indian sub-continent, we generally use gefitinib/erlotinib/Afatinib as a first line drug and subsequently change to Osimertinib based on the T790 M mutation status. This retrospective study highlights a sequential approach which is bio economical and may give similar results. Dr. Vinayak: In patients with Del19-positive tumours, using Afatinib followed by Osimertinib may be a reasonable approach. This also re-emphasises the fact that similar outcome may be achieved by sequencing TKIs instead of using Osimertinib upfront without financial strain. This was a retrospective observational study to evaluate the outcomes of patients who sequentially received the first-line Afatinib followed by Osimertinib in patients with EGFR positive advanced Non-Small Cell Lung Cancer (NSCLC). In around 204 patients which were included, around 25% were Asians. Dr. Vishwanath: Even though combination of chemotherapy, immunotherapy and anti-VGEF therapy in first-line treatment of driver mutation positive NSCLC is a newer way of treating these patients, this option should be used judiciously in the first line until a randomised trial results comparing TKI with this regimen is available. It may be a reasonable option in pts with EGFR-mutation disease who had prior TKI therapy. Dr. Vinayak: Option of Immunotherapy in Oncogene mutation-driven lung cancers was lacking before availability of Atezolizumab even though they were pre-treated with TKI before accrual into trial. This study was done in some patients with sensitising EGFR mutations without being exposed to TKI. This was an exploratory analyses of the Phase III IMpower150 study in patients with EGFR or ALK genomic alterations. This study looked at over 1000 patients who received Atezolizumab (A) 1200 mg + bevacizumab (B) 15 mg/kg + carboplatin (C) AUC 6 + paclitaxel (P) 200 mg/m2 (ABCP) or A + C + P (ACP) or B + C + P (BCP) by IV q3w for 4 or 6 cycles per investigator (INV) decision, then q3w maintenance with Atezolizumab + bevacizumab, Atezolizumab or bevacizumab, respectively. In the exploratory analyses, the authors looked at OS and investigator-assessed PFS in patients with EGFR-mutations (EFGR-mt) disease, patients with sensitising EGFR mutations and patients with EGFR-mt disease who had prior TKI therapy. Dr. Vishwanath: With multiple effective drugs for ALK+ advanced non-small-cell lung cancer (NSCLC), further research would in direction of the sequencing of these active drugs. This study has shown that Asian patients also benefit well from Alectinib. Dr. Vinayak: With superior efficacy and better CNS activity, Alectinib would be an ideal choice for patients (pts) with treatment-naïve ALK+ advanced non-small-cell lung cancer (NSCLC). In the phase III ALESIA study, Asian patients with treatment-naïve ALK+ advanced non-small-cell lung cancer were treated with either Alectinib or crizotinib to assess PFS benefits seen with ALEX study. ALC significantly reduced the risk of progression/death (INV PFS) vs CRZ which was consistent with the ALEX study.